Zenith Defy Zero G battles the forces of gravity in a defiantly spectacular, accurate, resilient and contemporary spirit. 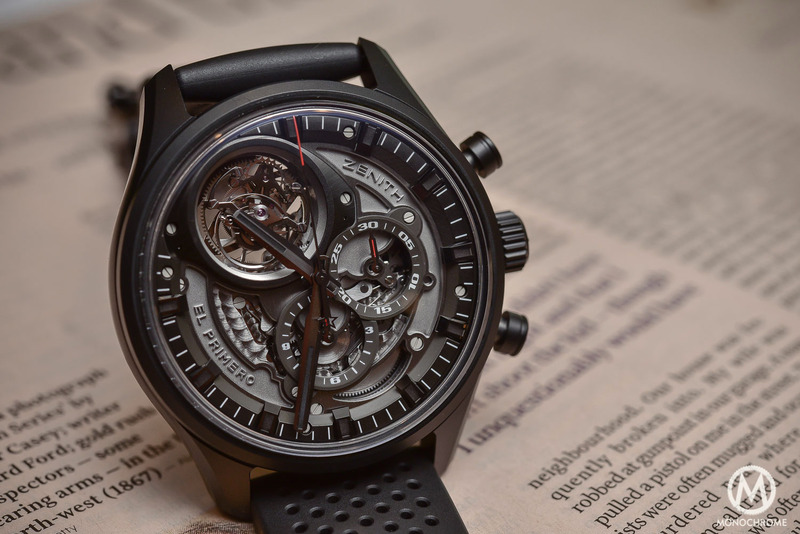 Hot on the heels of last year’s Defy El Primero 21, a high-frequency chronograph capable of measuring hundredths of a second, and the Defy Lab, the most accurate watch on our planet with a pioneering oscillator, 2018 sees the launch of Zenith’s Defy Zero G. Equipped with its proprietary ‘Gravity Control’ module, the Defy Zero G fleshes out Zenith’s nascent Defy collection and stages a hypnotic, gravity-busting show on deck. 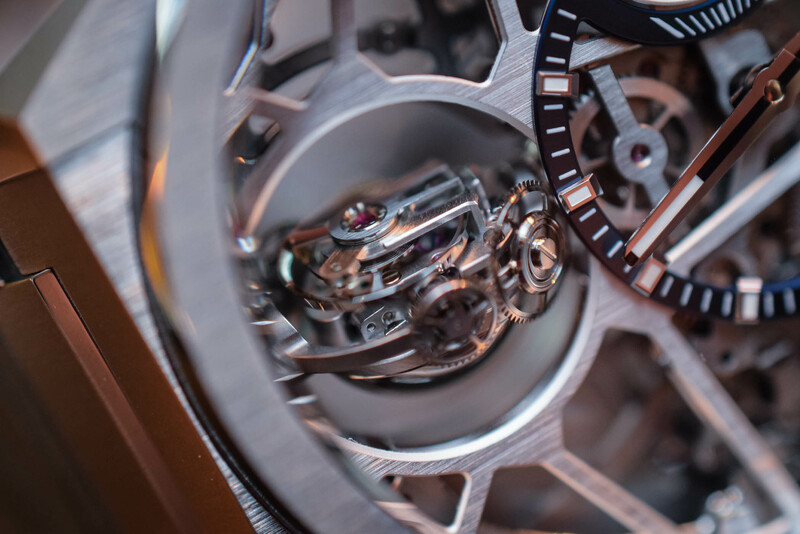 Designed to neutralise the negative effects of gravity with its gyroscopic ‘Gravity Control’ module, the Defy Zero G maintains the escapement in a horizontal position regardless of the position the watch. Coupled with a new, manual-winding, high-frequency El Primero calibre measuring tenths of a second, the new Defy watch is housed in 44mm titanium or pink gold cases with a defiantly contemporary look. 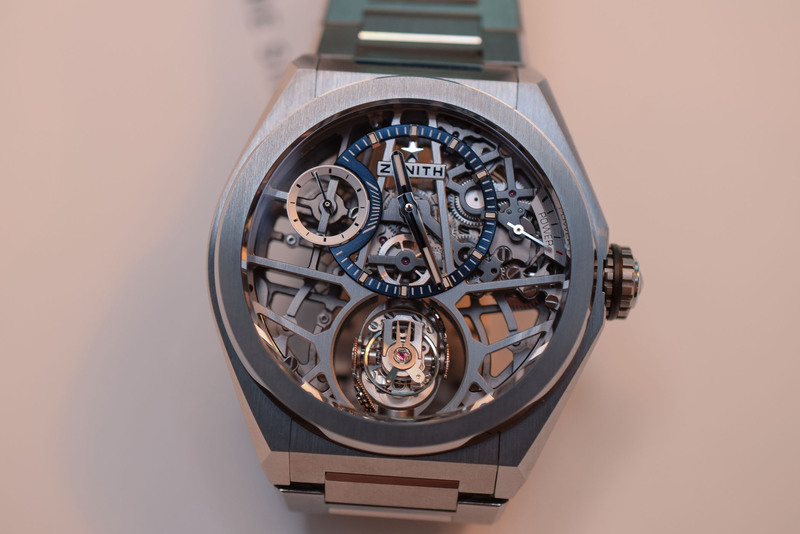 Many of you will recognise Zenith’s ‘Gravity Control’ module, which made its maiden voyage on the Defy Xtreme Zero-G Tourbillon a decade or so ago and then on board the various vessels of the high-brow Academy Christophe Colomb collection. The fruit of five years of R&D, Zenith’s patented gyroscopic module housed in the Academy Christophe Colomb Equation of Time model won the 2011 GPHG ‘Complicated Watch Prize’. As a producer of marine chronometers in the past, Zenith borrowed the principle of gimbal suspension – designed to correct the variations in rate resulting from the pitch and roll of a ship by keeping the instrument in an upright position – and applied it in the miniature realm of a wristwatch. By maintaining the regulating organ in a horizontal position, Zenith reasoned, the best possible balance amplitude would be obtained and precision would be enhanced. Composed of 139 microscopic components, including a platinum counterweight, the new ‘Gravity Control’ module has been redesigned and shrunk to 30% of its original volume. 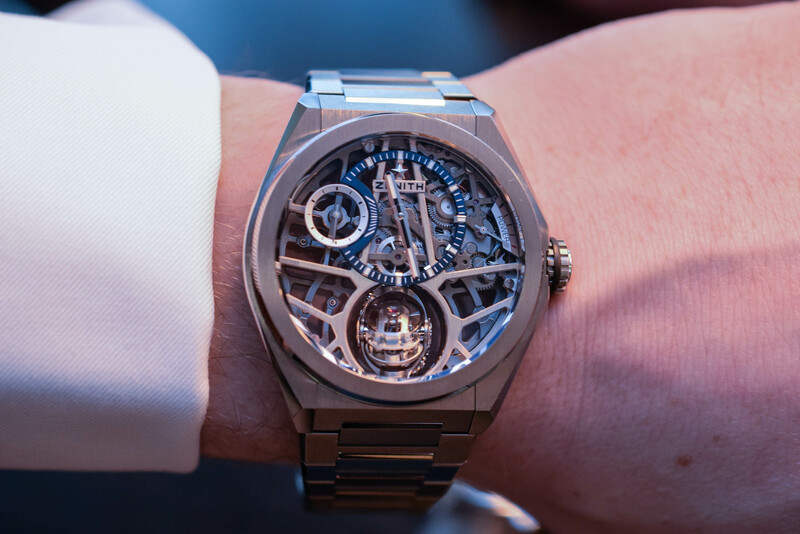 Unlike the previous watches fitted with the gyroscopic module and their protruding bubbles that made them hard to wear, the Defy Zero G has fitted the gravity-busting device within the two flat sapphire crystals of the case. Housed in 44mm pink gold or titanium cases with beautiful brushed finishes, the watch has a thickness of 14.85mm. 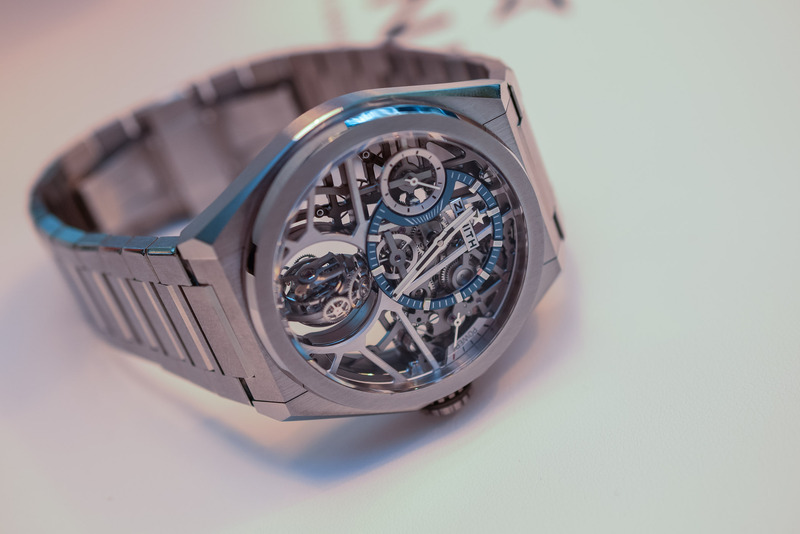 To counter the robust dimensions of the case, the dial is openworked and reveals every last detail of the skeletonised movement and gyroscopic module placed at 6 o’clock. 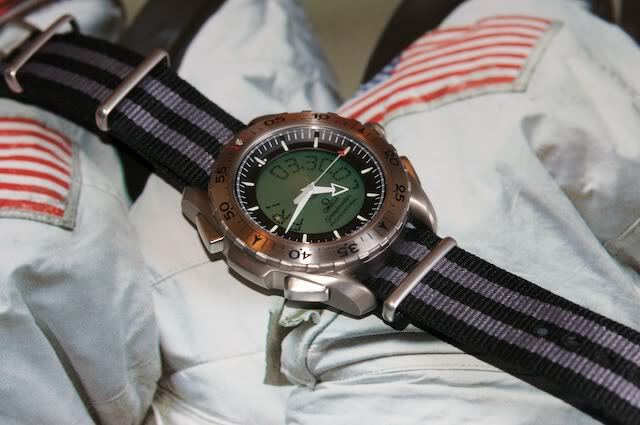 A star-shaped bridge, evoking Zenith’s star logo, sustains the scenery on the dial side composed of a blue offset hours and minutes counter in the northern hemisphere intersected by a small seconds counter on the left and a power reserve indicator tucked under the bezel between 2 and 3 o’clock. Shipshape for all life’s adventures, the Defy Zero G is water-resistant to 100 metres and features luminescent hour markers and hands. 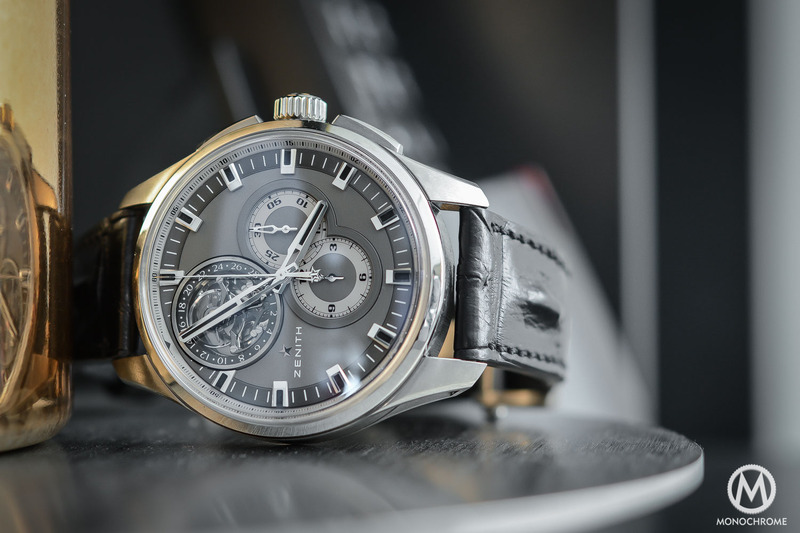 Zenith’s new in-house manual-winding movement, El Primero 8812 S beats at a high frequency of 5Hz and can measure elapsed times of 1/10th of a second. Self-regulated by the updated ‘Gravity Control’ module, the movement is skeletonised and treated with black rhodium to contrast with the lighter tone of the brushed star-shaped bridge. 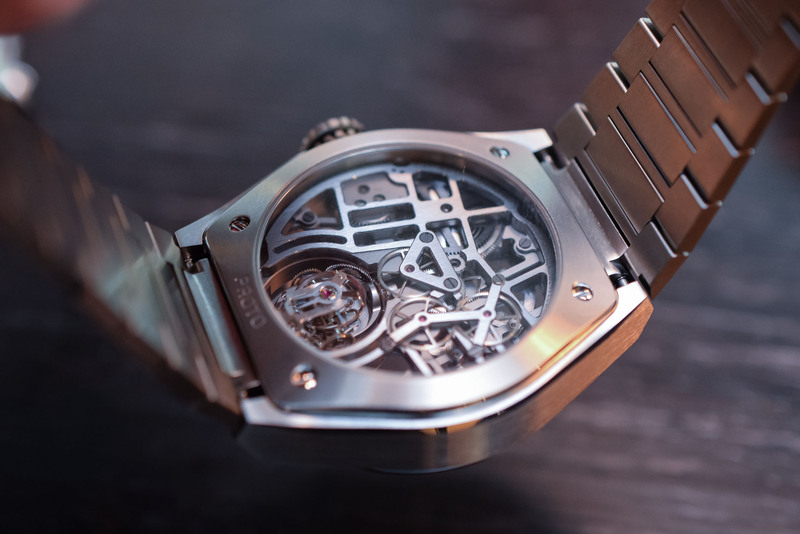 Offering a generous 50-hour power reserve, the movement is composed of 324 separate parts. Available in either pink gold or titanium, the Defy Zero G is presented on a matching metal bracelet with brushed and polished H-shaped links or on a sportier rubber strap coated with alligator leather. Prices range from CHF 98,900 to CHF 129,900. 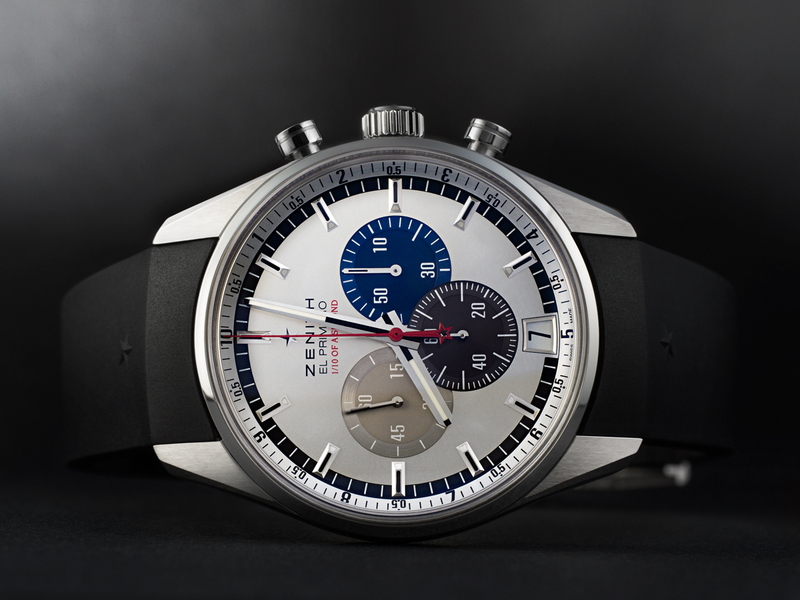 More details on zenith-watches.com. It’s truly sad to see how the elegant and beautiful Zenith Christophe Columb has been bastardized into this monstrosity. I can appreciate the engineering but these watchmakers could have spent their time making something people would actually want to wear . 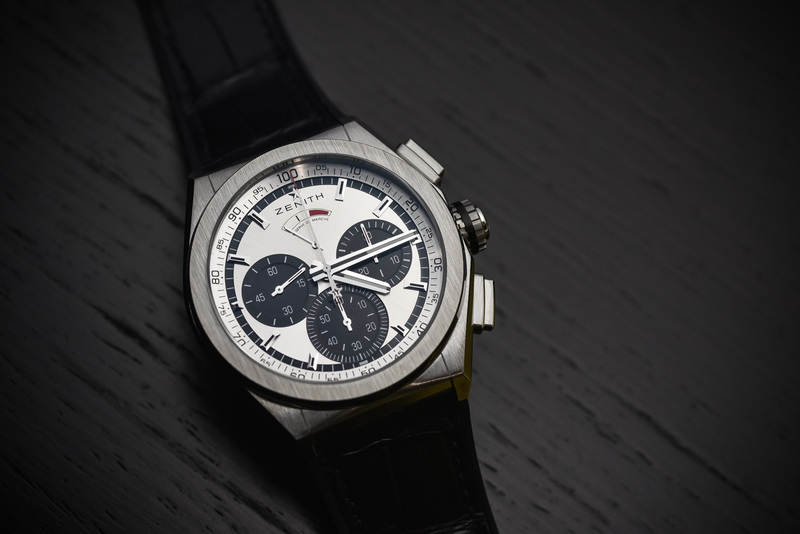 I would rather have a timepiece with greater power reserve function. So now 44mm is “defiantly modern”— sigh. The defy oscillator will hopefully change the industry and its iteration here is a good thing…….but…….if the narrative is about how revolutionary the tech is, then publish and promote this new level of accuracy. I suspect the zero g module adds very little to overall accuracy. 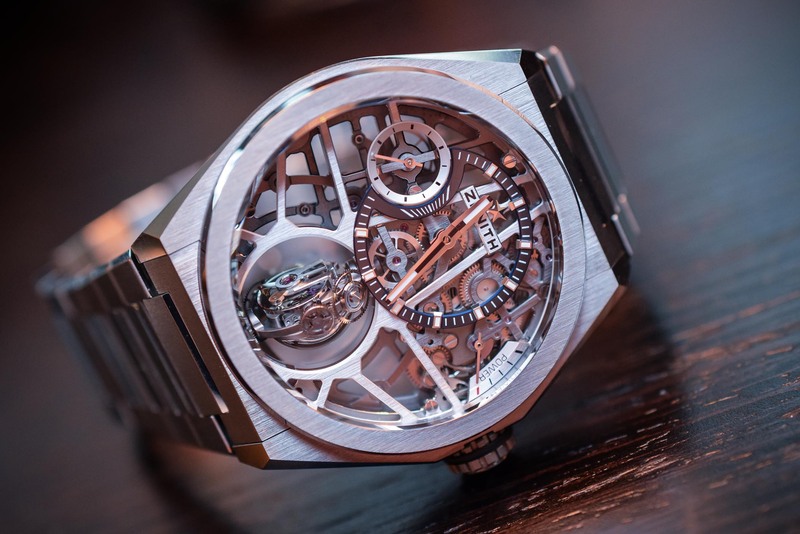 Kind of like a 3d tourbillon, interesting to look at and marvel at the miniaturization, but not really bringing much chronometric value to the party. I do love the skeletal presentation and wait anxiously for further extensions to the amazing oscillator. How can anyone call this a monstcity?? It is stunning. It is a monstrocity for those who can NOT afford it , or who have puny little wrists. Simply beautiful! !